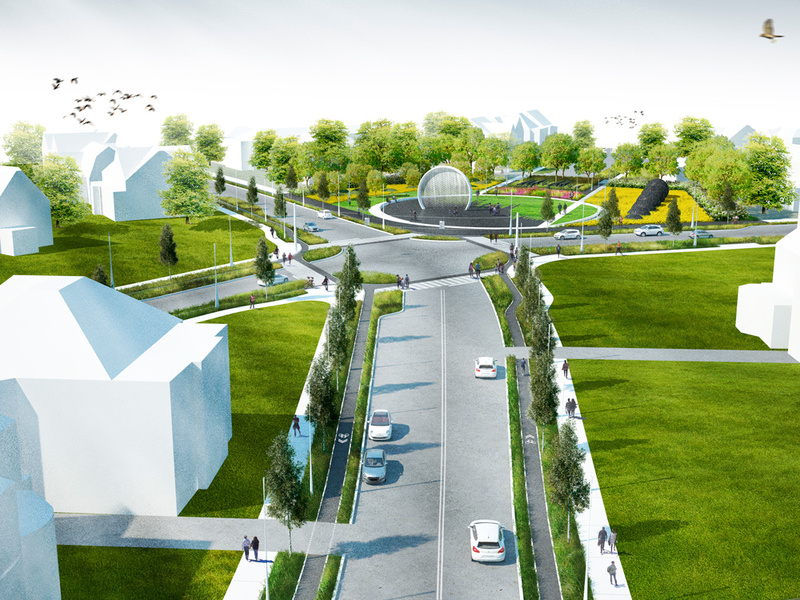 The design strategy presents a framework for a healing landscape, a Landscape re-Generator that addresses not only the site, but its context by providing a pedestrian environment, tackling the blighted landscape, and activating the community. The strategy can be synthesized as one statement: Leavenworth Circle as a connector within an active corridor. The Leavenworth Circle is envisioned as a critical node for the future connected urban landscape of the city of Syracuse, NY. 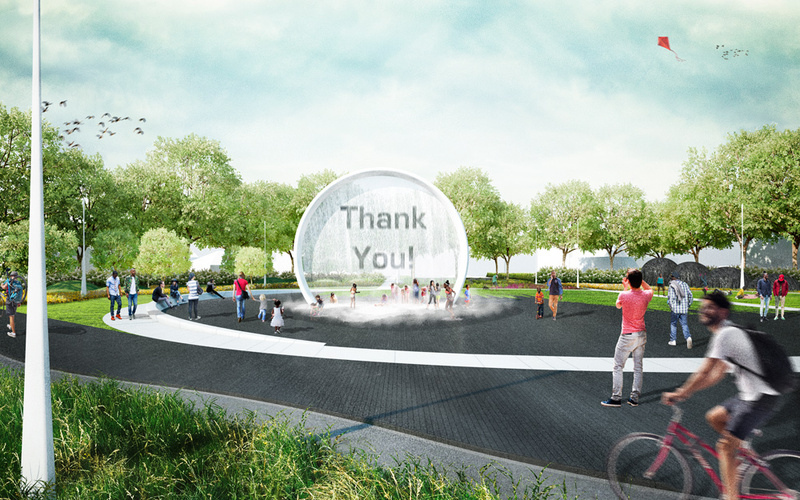 The Circle would be part of a proposed 4.2 mile urban loop of green corridors serving the entire city and activating opportunities within the community of the Near West Side. These green corridors have been conceived as complete streets to serve both commuters and recreational users. is envisioned as a versatile landscape that also creates a destination. redundant infrastructure, it is proposed to close the portion of W. Onondaga Street that terminates into Delaware Street. By doing so, together with the incorporation of adjacent vacant properties, the Leavenworth Circle transforms into a large public green area, 1.6 acres, for the neighborhood and for Syracuse. The Leavenworth Circle Park is charismatic node that reestablishes the tension at both ends of West Onondaga Street providing a magnetic terminus for the historical corridor of West Onondaga. BFJ Planning - Traffic Eng. Public Presentation. October 2016, Syracuse, NY.